Data collection has an increasingly important role in the events industry as the more personal data event organizers can collect about the people who attend their events, the better they can customize the event experience. But, there is risk associated with the collection and handling of all that data. Particularly with virtual events, since there is a preponderance of data collected vs. physical events. That is why the EU approved the General Data Protection Regulation (GDPR), which goes into effect on 25 May 2018. 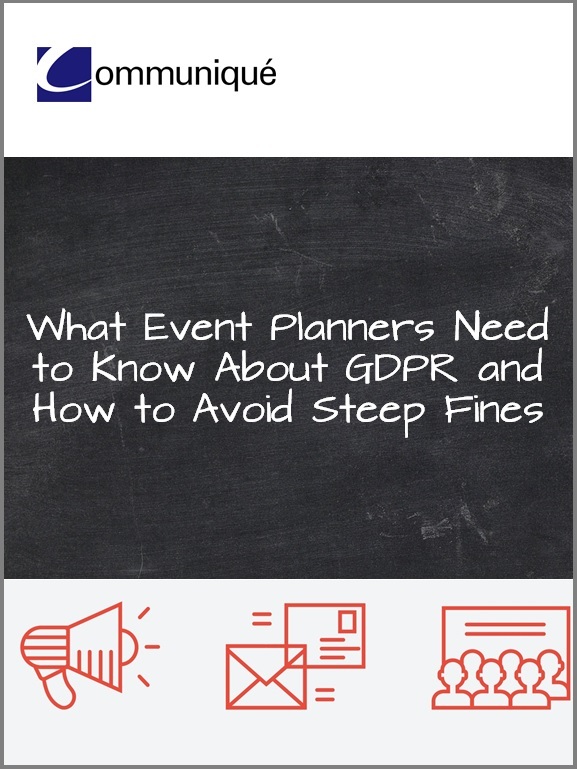 For event planners, this means the personal data of EU citizens who attend their events must be handled in compliance with GDPR. Some companies think they are too small, or ignore GDPR because they do not have European operations. However, GDPR applies to companies of all sizes no matter where they are located. As long as one or more attendee joins an event from Europe, GDPR applies. Event organizers need to re-look about how your events are collecting data on EU citizens, how you’re storing consent and how you’re incorporating data security into your event planning and management processes. You also need to find out what your event tech providers and third-party agencies are also doing in preparation for GDPR – especially if their data centers are based outside of the EU. Finally, implementing changes will be a team effort where everyone is aware of the new requirements, along with the new processes that you’ll need to put in place. For more information on Communique’s Virtual Trade Conference Platform go to www.virtualtradeshowhosting.com.